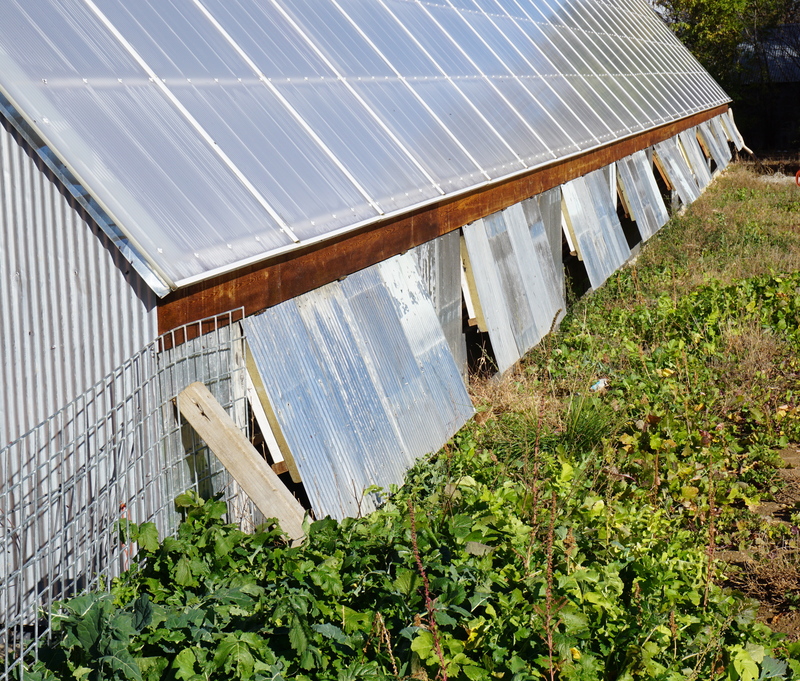 Even a well-designed solar greenhouse will overheat sometimes. This is because greenhouses are excellent solar collectors. While all that light is needed for growth, it often creates too much heat. Ventilation is essential not only for cooling, but also for plants’ health. A leaf surrounded by stagnant humid air is a bug’s best breeding ground. Moving air forces plants to grow stronger and healthier and reduces insect and diseases problems. 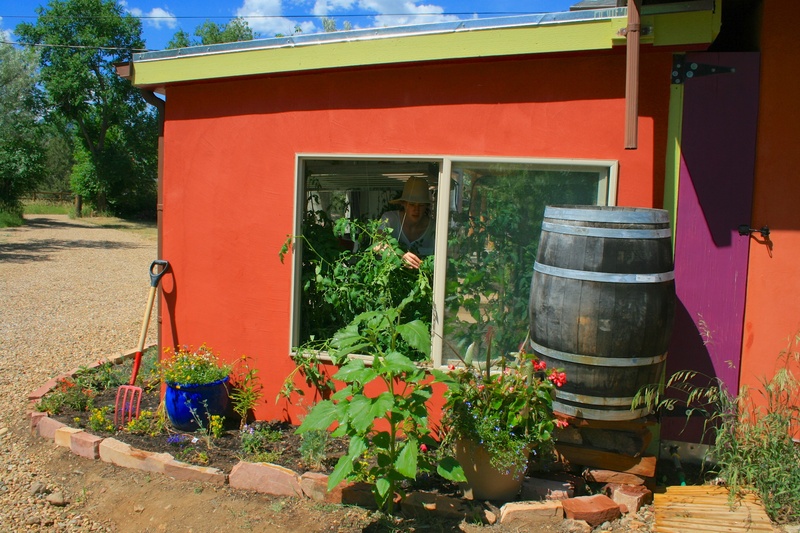 There are a variety of methods to bring in fresh cooler outside air, either active (fans) or passive (solar powered vent openers or manually opening windows). In any case, you want to create a path of least resistance for the air to move. Place intake vents lower and exhaust vents higher to take advantage of natural convection. The intake vent will draw in cooler air, as it warms it will naturally rise and be exhausted higher up. The result is additional airflow, without added energy costs. You can also maximize cross-flow ventilation by placing openings on the sides of the greenhouse and working with natural air movements. If your site has strong westerly winds, for example, plan intake vents on the West and exhaust vents on the East. Most basic method is opening windows and doors in the greenhouse. This is the lowest cost upfront, but the most costly in time. Eventually people can start referring to their greenhouses as “having another dog.” For this reason, we don’t recommend only using manual ventilation unless you can attend to the greenhouse every day. 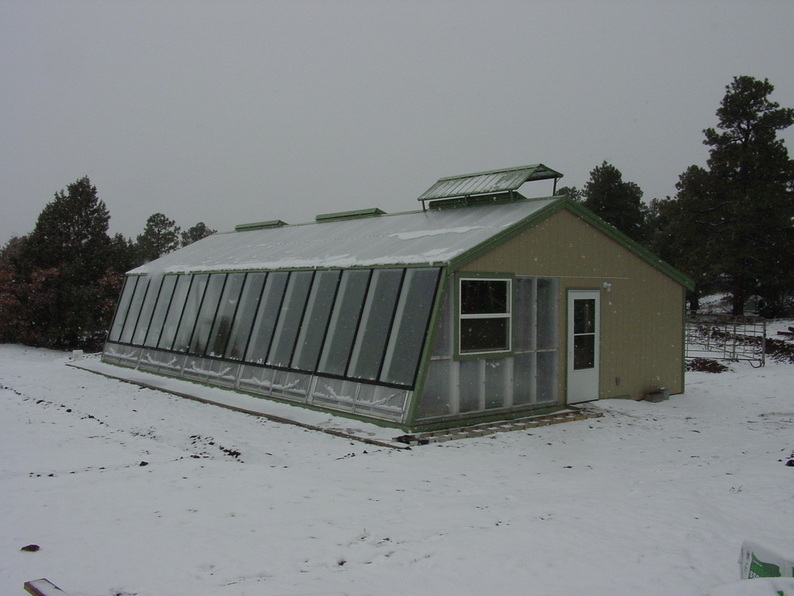 Note that greenhouses need to be opened and closed multiple times during the course of a day. On cold days for example, windows only need to be open for a short time – say an hour – to cool the greenhouse off, necessitating several trips. A step up is to ventilate using solar powered vent openers which automatically open and close vents based on temperature. These use wax cylinders so they operate without electricity. The pros are having passive and somewhat automatic control. The cons are they can be finicky and often require building a custom opening and vent. 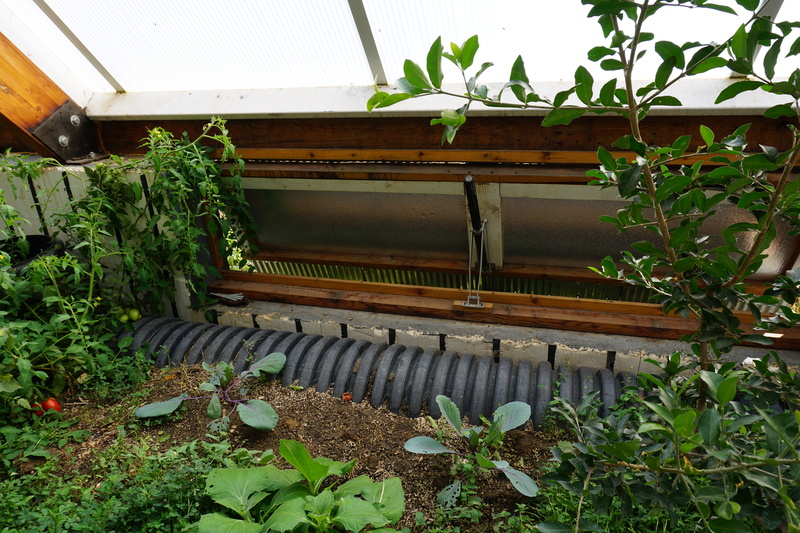 The turn-key systems, which include the vent and the opener, may not fit perfectly within your greenhouse design. They also cannot lift heavy loads (max is about 65 lbs for heavy duty ones) and will break if under too much resistance. Since vents will open automatically, you need to protect the vents from high wind and snow loads. In snowy climates, snow will fall pile on the South side of the greenhouse and could block lower intake vents from opening or possibly breaking them. It’s not adviseable to place vents on the roof or anywhere that snow could accumulate unless it’s protected by a covering (see below). Same thing for winds: you want to place vents where they won’t be exposed to high winds and could act like a sail. Whether building your own custom configuration or buying a vent and opener, you need to ensure that the vent is well sealed to prevent air leakage when it’s closed. 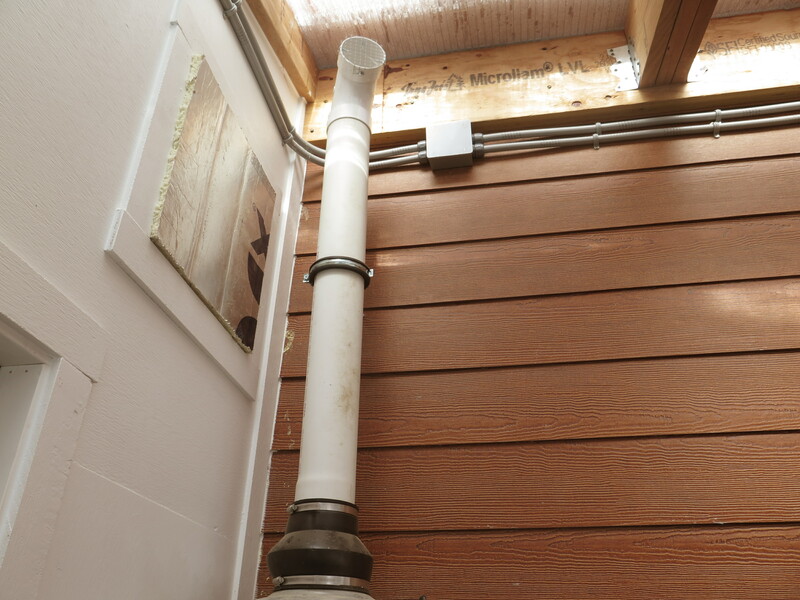 Most store-bought vents are not airtight. In the winter, you will need much less venting, and thus we recommend closing some of the vents permanently for the season by deactivating the opener. You can leave only one or two active for the winter. Above from top: Lower vent using a gigavent opener; same vent from exterior; Penn and Cord’s greenhouse – their top roof vents use a covering to protect the vents from wind and snow. The third option is to actively ventilate with automated exhaust fans and controlled intake louvers. (An intake louver is simply an automated vent that opens while the exhaust fan is on. The exhaust fan vents hot air out). These provide the highest degree of automation and control, but do require electricity. At CERES, we recommend using more than one of the above strategies. Our solar greenhouses always include operable glass windows, which can stay open in warmer months to fully open up the greenhouse. In addition, we incorporate automated exhaust fans and / or solar vent openers. These provide back-up ventilation if you are not there to open the greenhouse during the day. In the winter, you may consider insulating the fans with some rigid foam board insulation to reduce additional heat loss. How much ventilation do I need? If using passive vents and / or operable windows (no fans), the total opening area should be 20-40% of the greenhouse footprint. This is a large range as it greatly depends on your climate and the glazing area of the greenhouse. 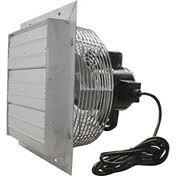 If using exhaust fans, a common rule of thumb is sizing the fan to provide 1-3 full air exchanges per hour. At CERES, we use a Ground to Air Heat Transfer (GAHT) system to provide some air circulation and cooling, and thus rely on smaller fans. Finally, remember that venting is just one part of passive solar greenhouse design. 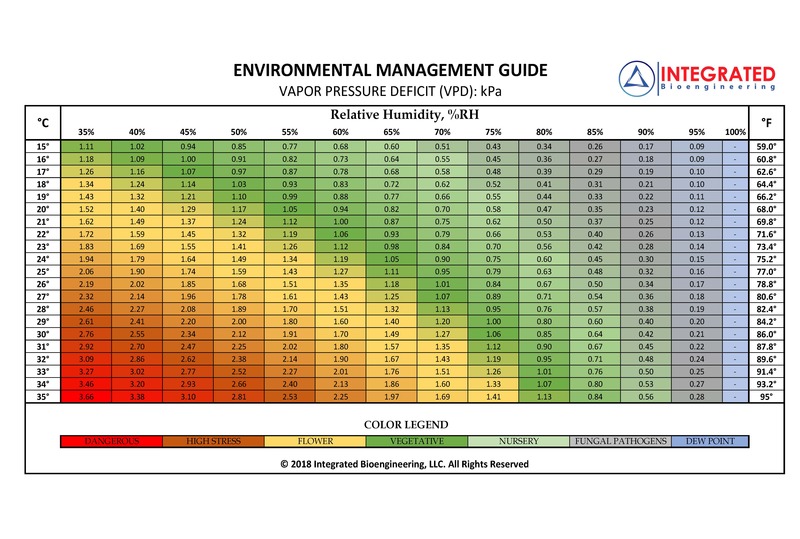 Other elements, like insulated walls and foundations, thermal mass, and using the right glazing will influence how much venting you need to do. Please get in touch with us if you have any questions.